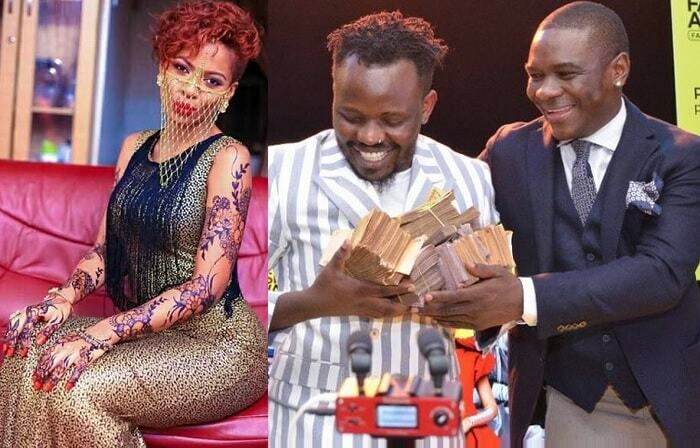 Just before the dust on the Honey Suleman tape could settle, there seems to be another video out there linked to a top female artist, Sheebah Karungi, but she has not let them win because it is fake, after all. Sheebah has shared a pic on her wall of her back revealing her lower tattoos, which are missing from the pics that are circulating out there. The pics circulating are for a Tanzanian who resembles Sheebah. Trust the swagg mama, while sharing the pic, she captioned it as; "I love my tattoos more now," and this is why.. The pics circulating online in which they claim are for Sheebah's do not have those back tattoos, so now that this is the only pic that can disassociate Sheebah from the TZ babe, the caption of I love my tattoos more now comes in handy.